With fall now upon us, we are quickly approaching the winter season. With winter comes ice and snow, and with it, dangerous driving conditions. It can be bad enough combating winter driving conditions in a standard-sized car, but add in the several extra tons of a semi-truck, and it’s easy to run into trouble! 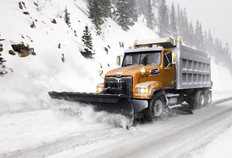 Baltimore Freightliner-Western Star would like to share some safe winter driving tips that truckers everywhere can benefit from and reduce their risk of being involved in an accident. Baltimore Freightliner-Western Star would like to share some safe winter driving tips that truckers everywhere can benefit from and reduce their risk of being involved in an accident. Is It Time to Add a Sprinter Van to Your Fleet? Sprinter Vans are some of the most sought-after vehicles by fleet owners due to their reliability, durability, and high-quality designs. However, no single van is one-size-fits-all – you will need to do your research and find out what model will best meet your own unique needs. If you need some help deciding which type of Sprinter Van is the right choice for your fleet, the experts from Baltimore Freightliner – Western Star are here. Read on to discover all about our high-quality Sprinter Vans! If you need some help deciding which type of Sprinter Van is the right choice for your fleet, the experts from Baltimore Freightliner – Western Star are here. Which Sprinter Van Suits My Needs? It takes a special kind of person to be a truck driver. You need character, toughness, and a healthy attitude towards life on the road. Trucking is tough, there’s no doubt about it. Working long hours alone on a different schedule than most other people has the potential to lead to some unhealthy habits. 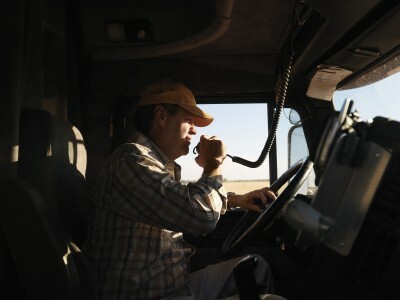 Did you know that nearly 9 out of 10 truckers have at least one risk factor (smoking addiction, obesity, hypertension, etc) for chronic disease? If you follow a few simple healthy living tips, you’ll improve your quality of life and live to see another day in the trucking business. If you follow a few simple healthy living tips, you’ll improve your quality of life and live to see another day in the trucking business. Over the summer, C.R. England made headlines as it plans to add nearly 200 Western Star 5700 XE tractors to its fleet. Tenured independent contractors who have lease availability will also have the option for new units. The features the new tractor provides are very exciting for the industry.